As the leading consumer products manufacturer in China. 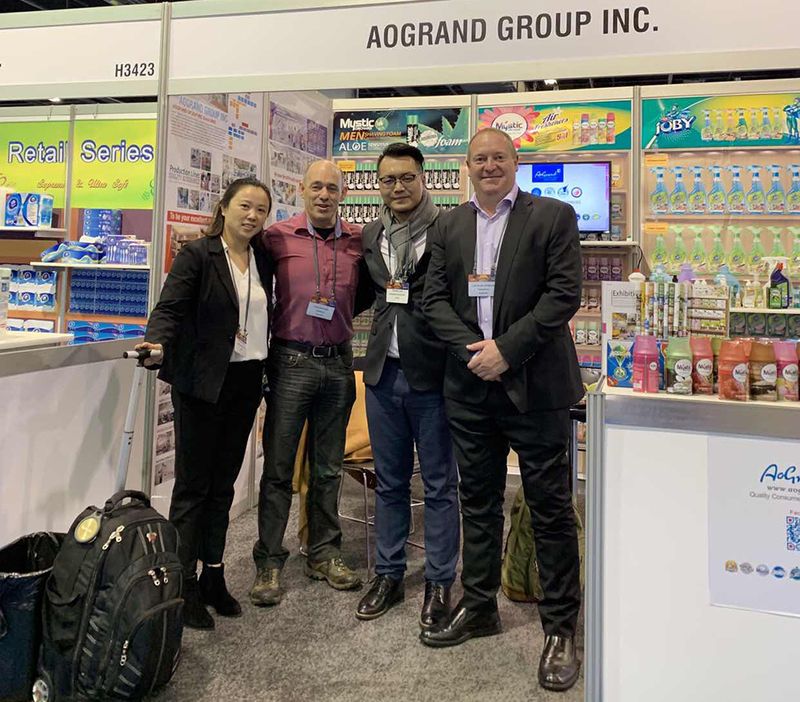 AoGrand group participated in PLMA’s 2018 Private label trade show which held from 11st to 13rd in Chicago . 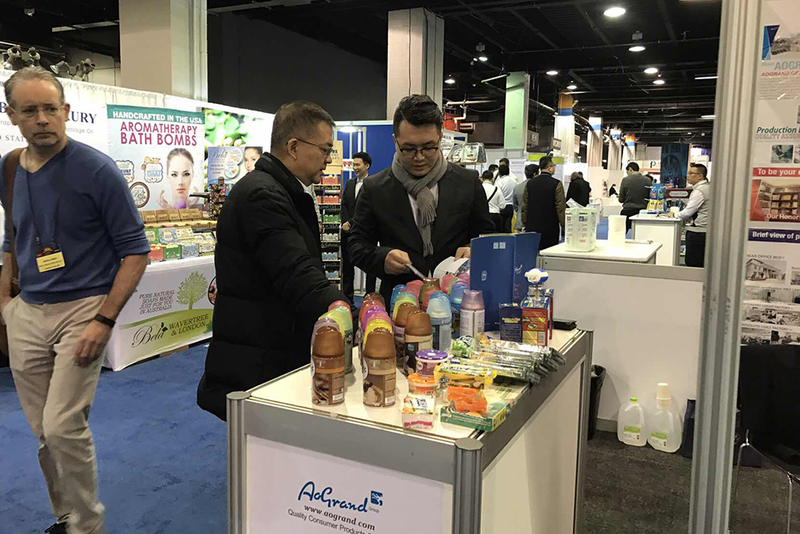 we met many new and old customers from the US and neighboring countries at the trade show .The booth exhibited our latest products in 2018. They felt that our new products have great market potential and are very recognized for the price and quality of new products. Willing to purchase our products, a win-win situation. 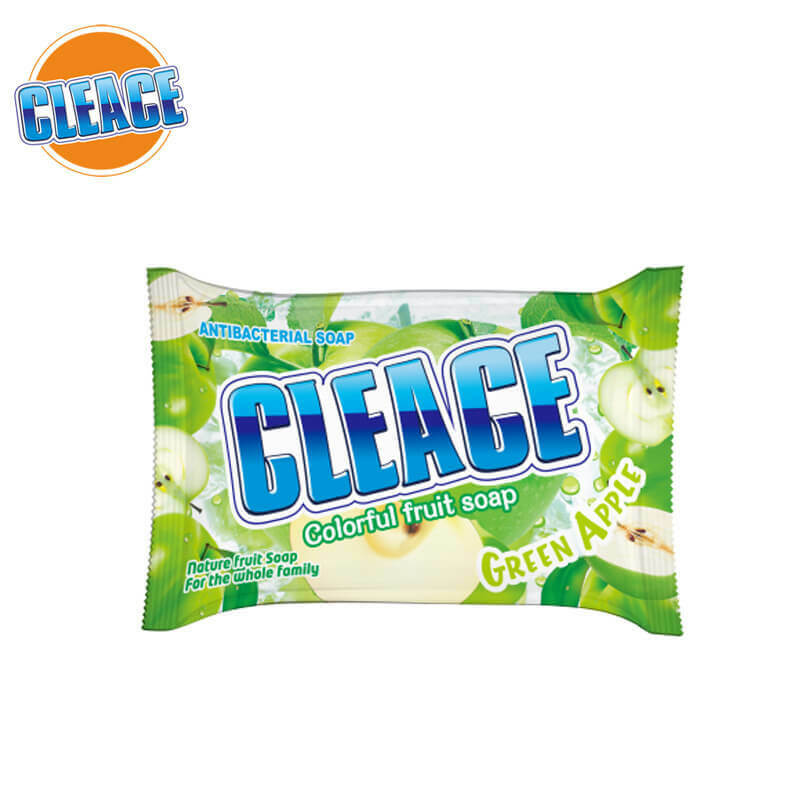 Four self-owned brands CLEACE JOBY ARROW MYSTIC cover all our products including liquid detergents, powder detergents, soaps, air fresheners, mosquito repellents and personal care products. For the European and American markets, we mainly promote aerosol products. We already have a lot of European and American customers doing air fresheners.We have been very mature in multiple fragrances, appearance, formula and shipping of aerosol products.Whether you want to do OEM or choose our brand is OK.
And the Chicago trade show means a lot to our group . Every market is different .By talking with different customers from various markets face to face . we got to know what they need exactly .Then we will adjust our sales strategy according.all these will help to expand our markets in North America and central America .